I’ve been looking for a way to add some protein to my daughter’s breakfast during the week when she’s at daycare. I came across this recipe in the November issue of Parents Magazine. I used green peppers and mushrooms since that’s what I had in the house. I’m thinking about adding diced potatoes and sausage to the next batch. Preheat oven to 375 degrees. Spray 12-16 mini muffin tins with cooking spray. In a bowl, whisk eggs, milk and pepper. Add cheese and vegetables. 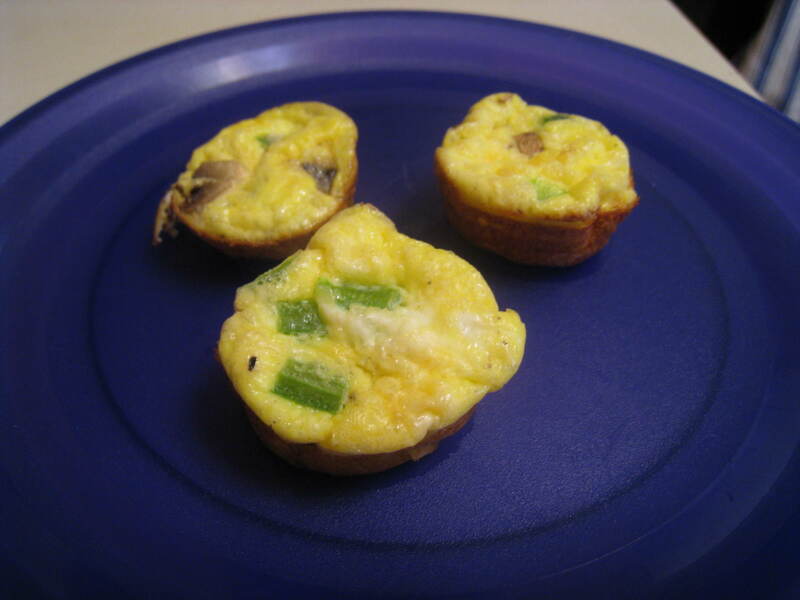 Spoon a tablespoon into each muffin cup. Bake for 12 to 14 minutes.